I met up with a friend just after having bought the Three Bored White Guys’ EP, ‘We Been Robbed’ and as we were sitting having coffee, I showed him my recent music puschases. 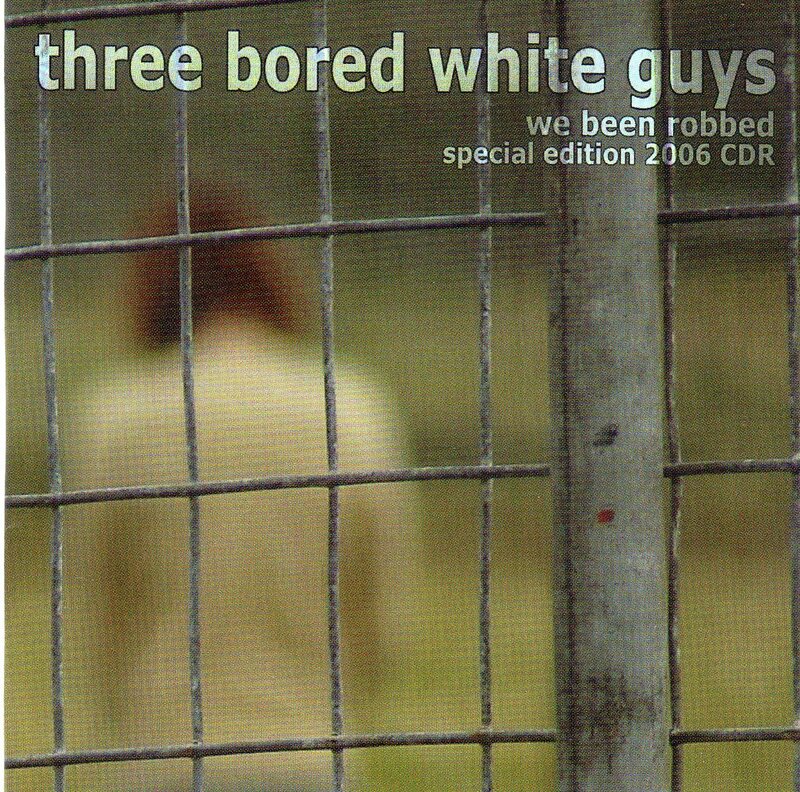 He turned the CD case over and on seeing the picture on the back he asked me why, if they were called Three Bored White Guys, were there five white guys in the picture. I replied that two of them weren’t bored. One of the guys on the cover (not sure if he was a bored on or not) was Greg Donnelly who was also a Dolly Rocker and this is what attracted me to the CD. I was not disappointed, especially as ‘Molly Trampoline’ came on. 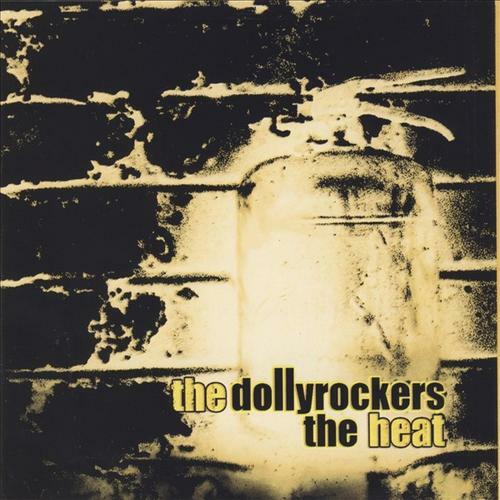 It’s a neat little rocker, nicely paced, guitar driven, slightly countryfied with a somewhat yowl-y vocal that recalls some of the Dolly Rockers stuff. The rhythm is a mix of train on a track and a galloping horse which gives the song it’s country flavour while not being a country song. It’s a bit like Valiant Swart’s ‘Die Mystic Boer’ which has that country blues sound. If this is what Three White Guys (along with their 2 mates) can do when they are bored, I’d love to hear what they could do if all five of them were not bored. ‘Molly Trampoline’ is a song that you can, well, bounce along to.